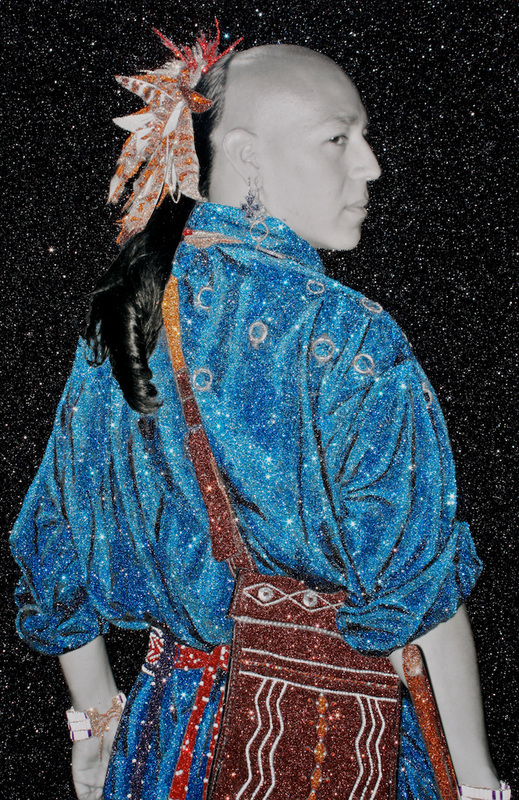 Although my career was initially launched in the mid 1980’s with hand-colored black and white photographs, and I supported myself with large abstract acrylic paintings for two decades, I don’t consider myself a photographer nor a painter. Rather, I think of myself as an artist who chooses a medium as a tool for the best possible way to express a statement. 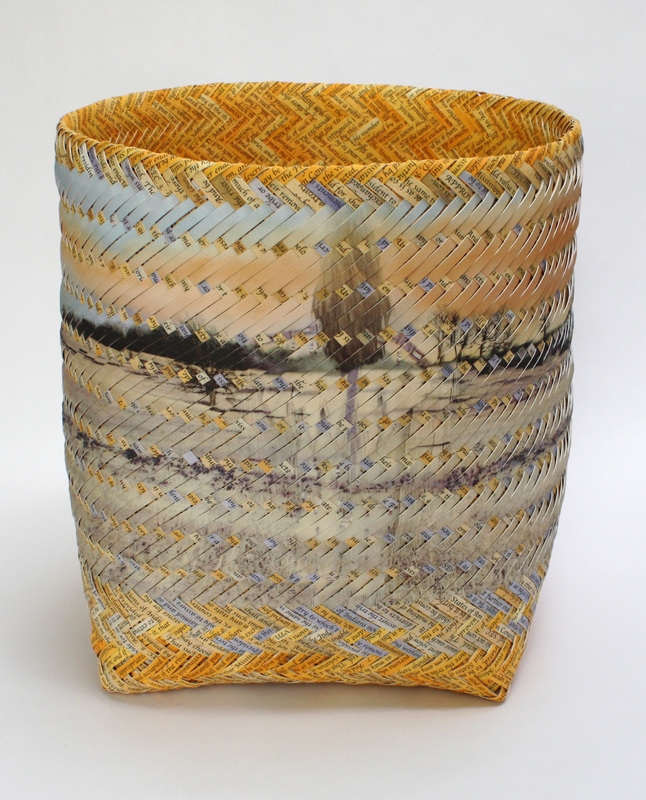 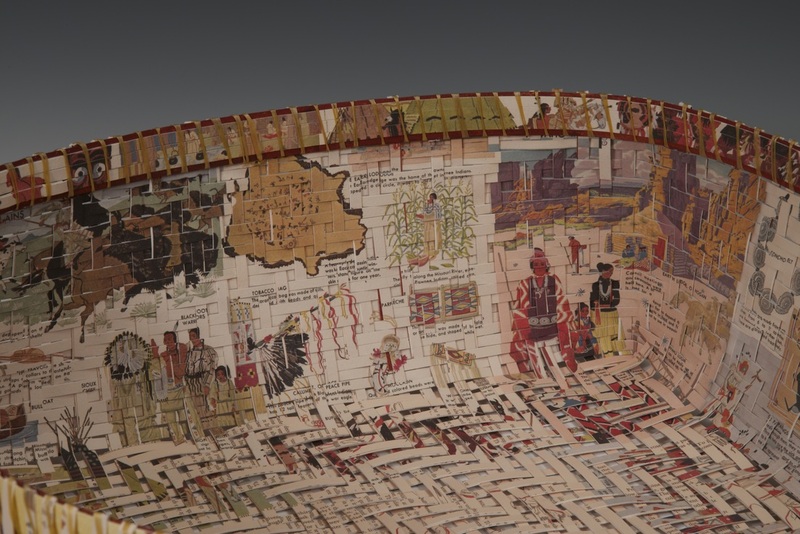 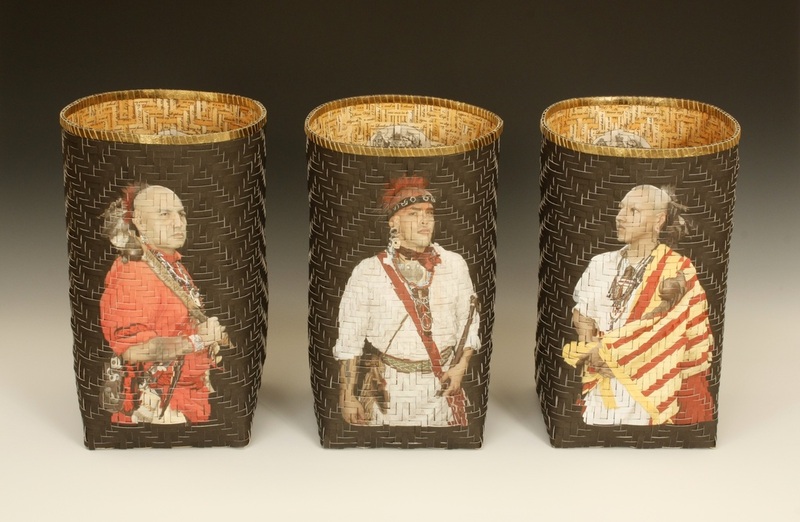 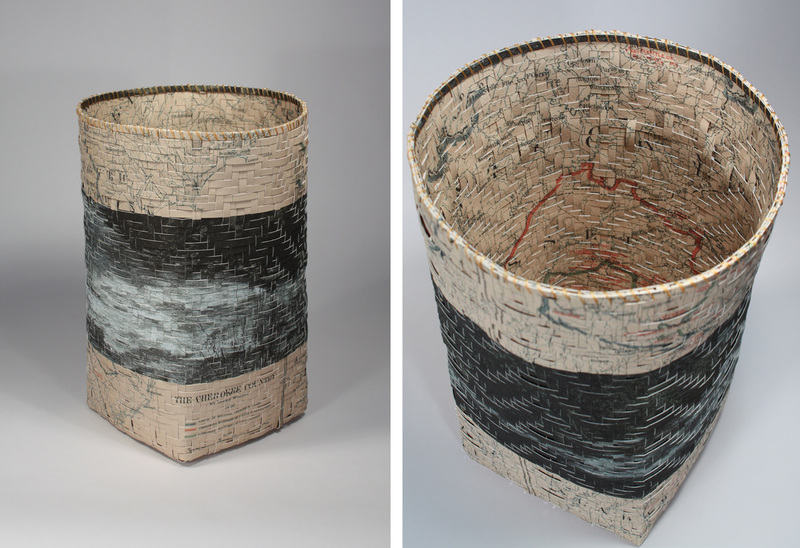 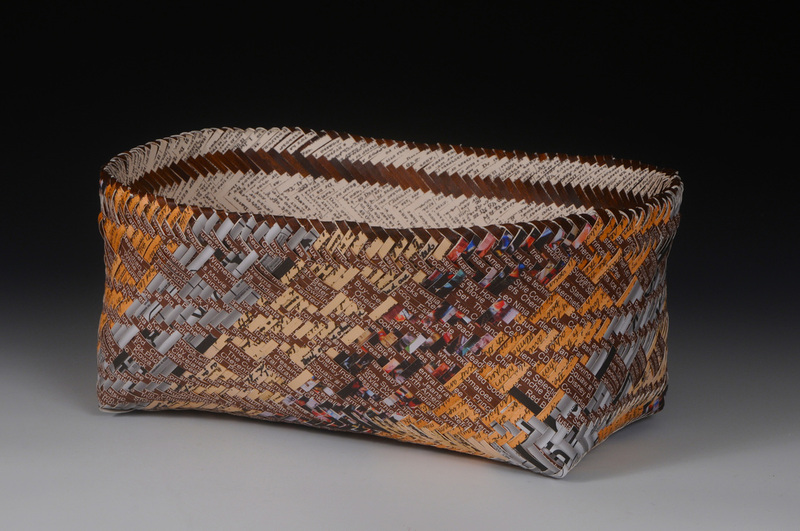 Recently, I have found myself drawn to the traditional crafts of my people, specifically basket making, as a way to illustrate my political statements and bring awareness to contemporary native issues. I taught myself how to weave in two traditional Cherokee styles, the single-weave and more challenging, double-weave process. 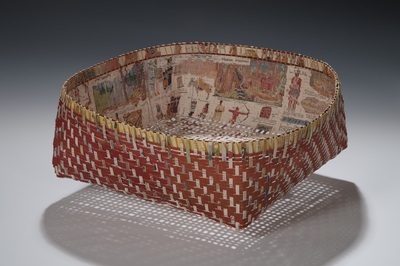 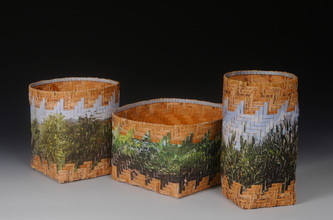 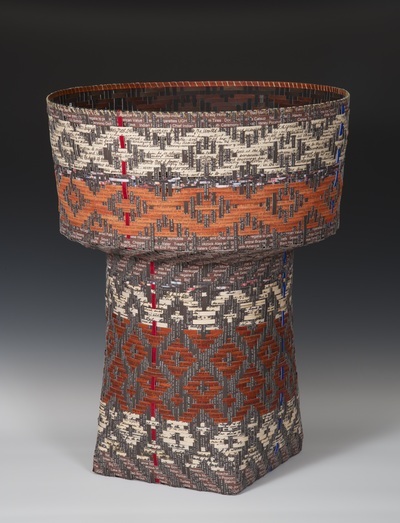 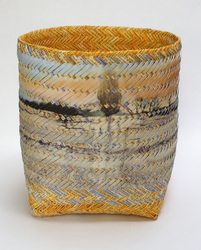 For the latter, the basket is started in the center of the basket, the splints are woven to the desired height, “turned” and then woven down the outside and finished on the bottom. 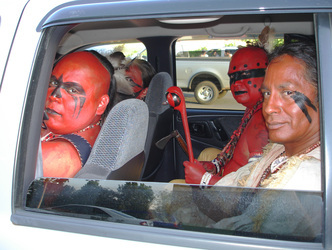 My tribal museum now recognizes me as the 14th living Cherokee person to have mastered this difficult technique. “dis-ease” and struggles of Indian people are a result of America’s policy regarding the first peoples. 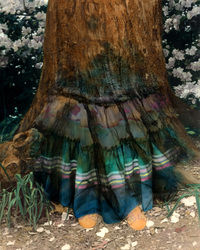 Whether it is from the attempts to erase all Native identity by denying Indian children their language and culture through boarding schools assimilation, breaking ties among tribal support through Indian relocation acts, providing Indian people with commodity food that have contributed to major illnesses, etc., historical trauma continues to plague us in a big way. It is my goal to enlighten audiences to these ongoing practices and encourage honest dialogue between people. I believe it is only through mutual understanding and respect that we can move forward and heal the wounds created by these repeated violations of our human rights. 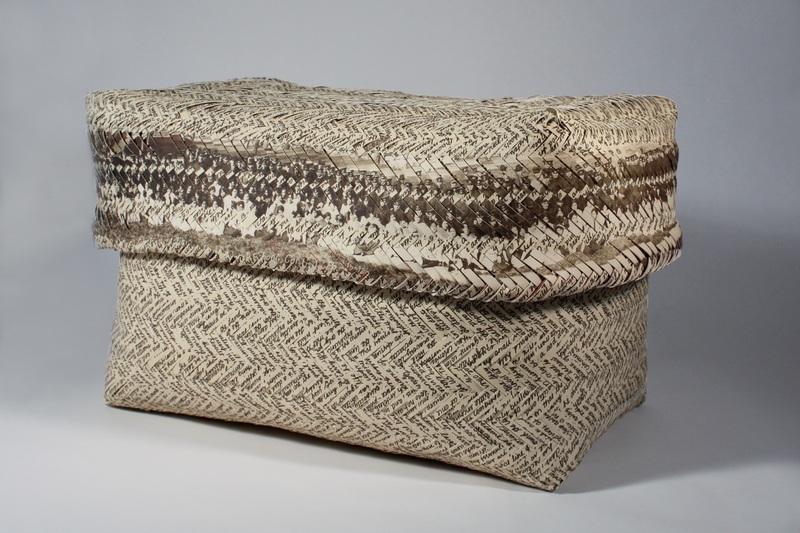 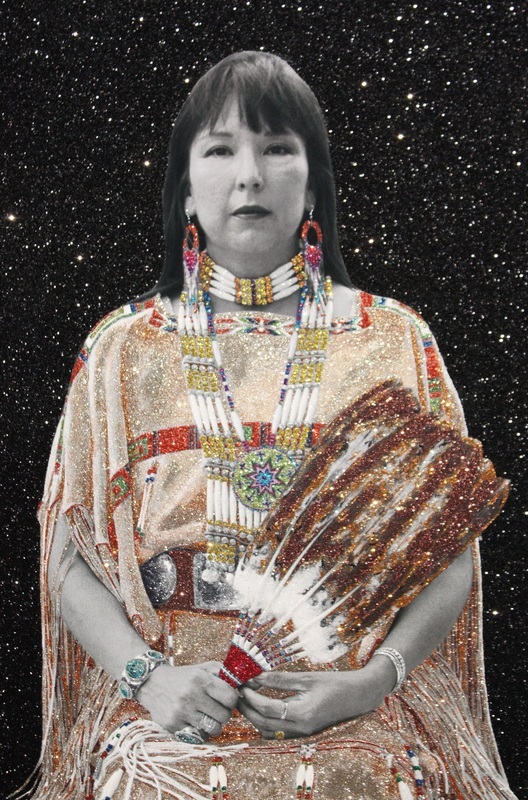 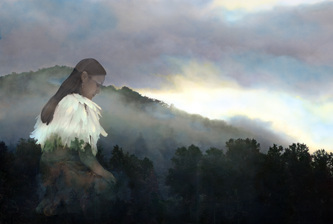 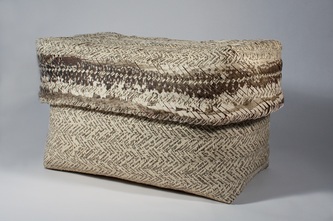 Shan is the recipient of the Eiteljorg Contemporary Art Fellowship 2013, the 2013 Smithsonian Artist Research Fellowship, the 2013 SWAIA Discovery Fellowship and the 2014 Native Arts and Cultural Foundation Fellowship. 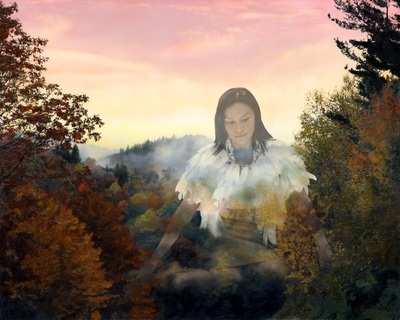 These organizations have been an important source of funding and support resources, enabling her to continue the research critical for inspiring her work.